Beginning with an empty allotment, the first plants you see emerging from the soil may not be the seeds you planted, but more likely weeds. It can be difficult at this early stage to know what to keep and what to pull out. If in doubt ask one of the farm's volunteers. It is important that you do keep your allotment free from weds, particularly before they flower and disperse their seed. 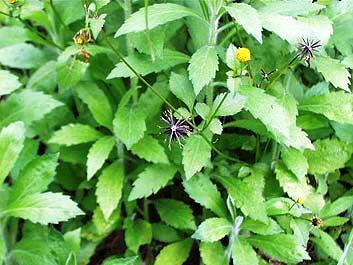 In many varieties this can be less than two weeks so regular weeding is important. One allotment with weeds can undo the good work done by other allotment holders spreading weeds across the farm. If a neighbouring allotment is becoming full of weeds, do not take it upon yourself to remove them (apart from any that may be encroaching onto your allotment). See the allotment coordinator and they will address the problem. 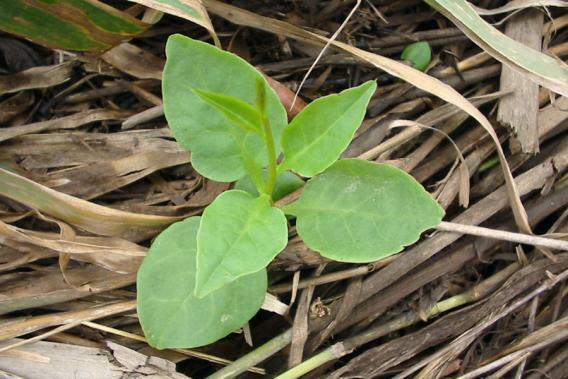 Refer to the list below for identifying common weed species found on the farm. 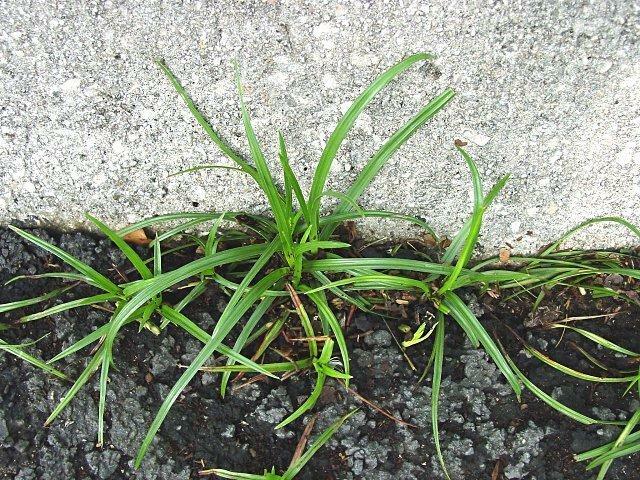 Nutgrass: Fast growing invasive. Spear like new leaves emerging from soil. Nut like tuber underground. Do not dispose of these in the compost bins. They have to go in the council bins. Wandering dew: Fast growing runners. Shallow root system. 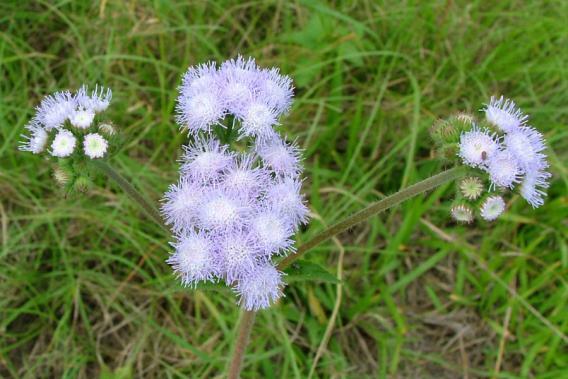 Light blue/violet flowers. Cobblers pegs: Fast flowering. Small daisy like flower. Produces mass of clinging seeds. Easily dispersed. 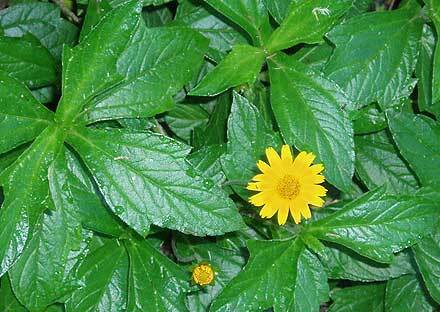 Singapore daisy: Fast growing, invasive groundcover. Forms dense covering. Fleshly dark green leaves. 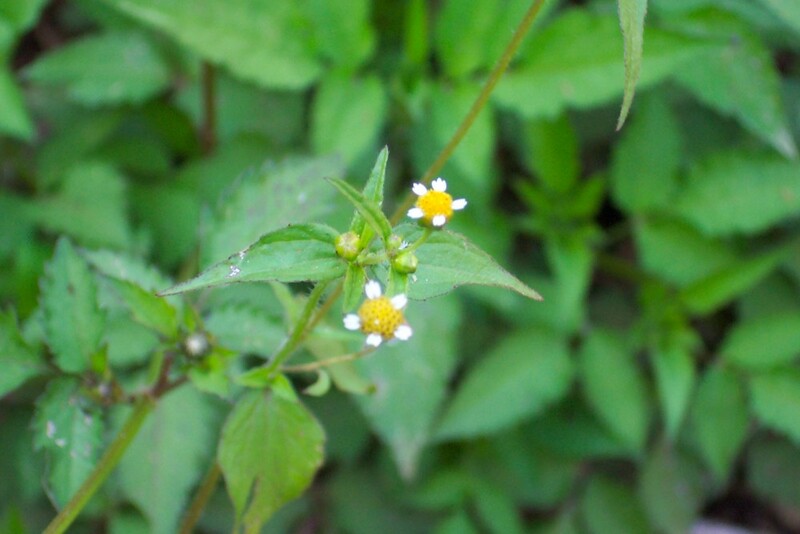 Small, yellow daisy like flower. 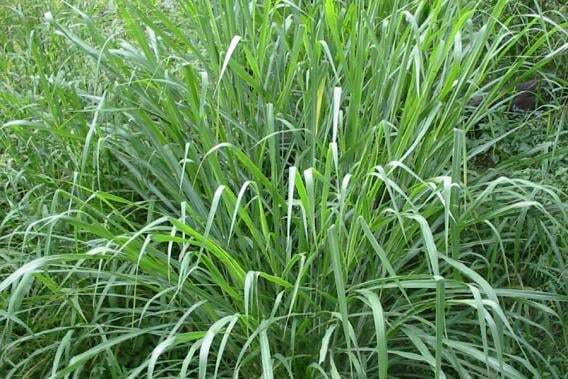 Guinea grass: Tall (up to 2 meters). Flat, sharp leaves. Identify from Vetiver grass. 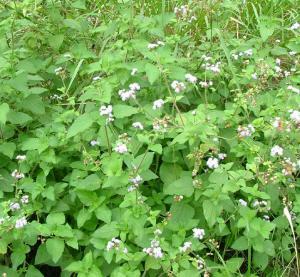 Billy goat weed: Rambling small shrub. Small lilac flowers. 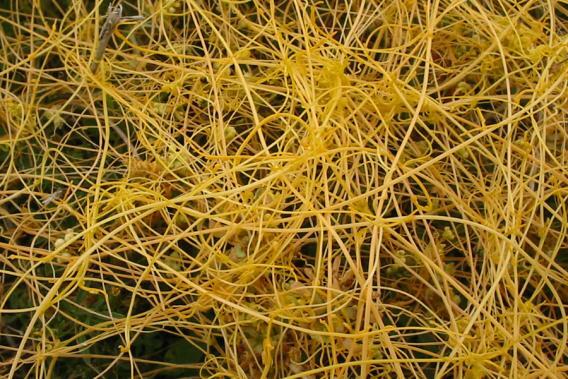 Dodder: Yellow string like vine, no leaves. Parasitic. 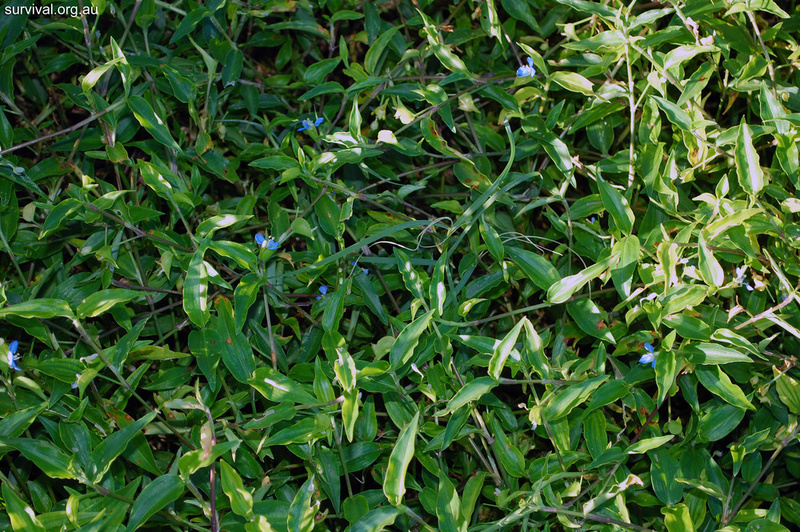 Madeira vine: Aggressive vine species. Aerial tubers. Fleshy leaves. Do not dispose of these in the compost bins. They have to go in the council bins.